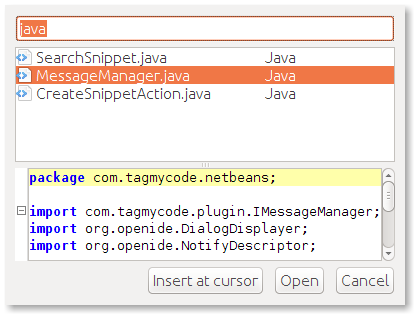 TagMyCode NetBeans plugin allows you to create your snippets directly from IDE and search for all your saved snippets. 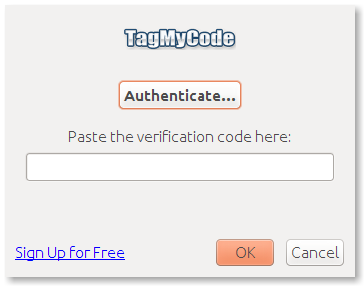 A new page will be opened on your browser where your credentials are requested. If you are logged in you will see a page like this. 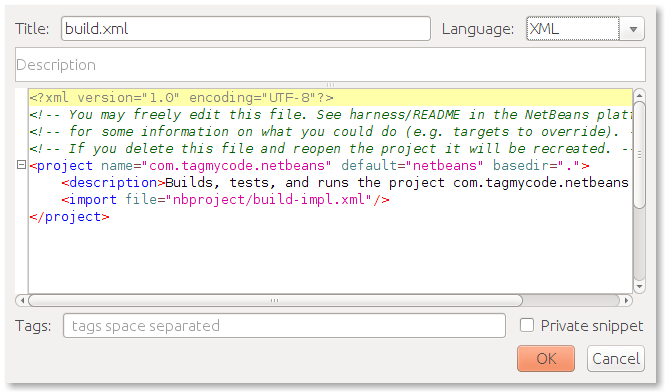 Once you have installed and configured your plugin your are able to manage your snippets directly from the IDE. 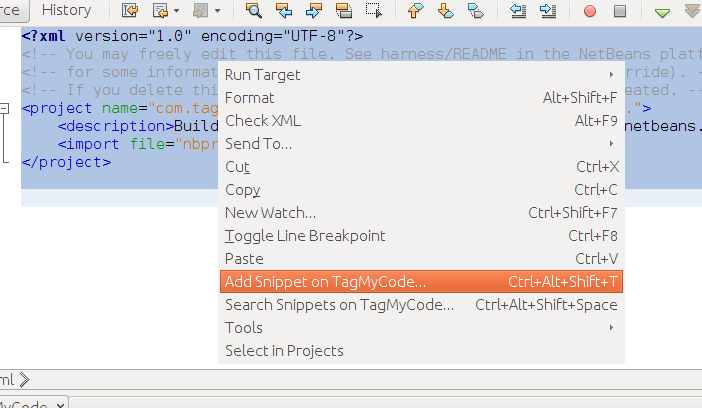 You can create new snippets with the New snippet… button or directly from the source of code simply by selecting text on editor and clicking Add Snippet on TagMyCode… menu item.